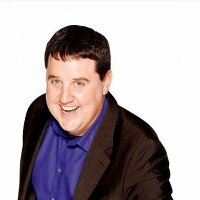 Peter Kay expands 2010 'Tour that doesn't Tour' to 20 dates - all sold-out in hours! Saturday 21st November 2009 shall go down in history as the day Peter Kay single-handedly wreaked havoc on ticketing systems and events site across the UK. His April/ May 2010 UK "tour" went on sale yesterday - initially just four dates, but eventually expanded to a mammoth 20 dates and all at the Manchester Evening News Arena. The on-sale time was 11AM, and around that time, well, many websites stood still as demand out-stripped their capacity. We had a taste of this on Friday evening, so took special measures to counter it - but that didn't stop the ticketing sites, or even Peter Kay's own site from dying -- and neither did it prevent the tour from selling-out in a matter of hours. On the strength of those sales, common sense would tell you that another twenty dates could easily be sold to the Kay-hungry public - whether that happens-or-not is another matter. Would be interesting if it did, and could propel Peter into the record books - in fact, I guess it probably has being that the entire "tour" takes place at the same venue. As ever, we'll keep you posted if we hear anything.